This article first appeared in The Edge Financial Daily, on April 6, 2018. Inspired by Japan’s beautiful season of Cherry Blossoms, Nobu Kuala Lumpur has introduced a Hanami High Tea, available every weekend this month. This new addition is inspired by the Japanese springtime where friends and families have picnics to enjoy the view of cherry blossoms. 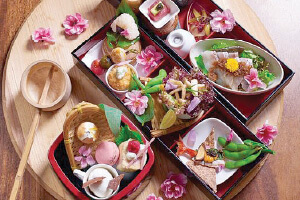 The Hanami High Tea set comes in three delectable bento boxes — sushi, savoury and sweet. Experience the season of cherry blossoms in Japan with Sakura-inspired dishes like the Sakura Tea Macaron and other savoury items to complement the sweet pastries. The set is priced at RM148++, and to make a reservation, please call (03) 21645084. 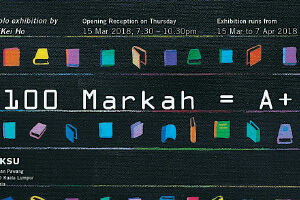 The 100 Markah = A+ exhibition ends tomorrow at Taksu Gallery. So be sure to pay a visit. 100 Markah = A+ is MeiKei Ho’s debut solo exhibition, featuring her latest series of artworks centred on childhood nostalgia and education in the classroom. This main theme of the exhibition is presented by the repetition style and aesthethic cues within the paintings. The art pieces challenge the value of education today, as well as the future of our youth. Visit the art exhibition at Galeri Taksu, Jalan Pawang, KL, which runs from 10am-7pm. Visit http://taksu.com for more information. Take a break from the commotion of work and achieve a peace of mind with the Weekly Community Yoga Class held at APW Bangsar this Saturday. Beginners in yoga are welcome to join, as they will be in the company of other beginners and guided by certified yoga teacher Robyn Lau. Experienced practitioners of yoga are welcome to join and share their experiences as well. 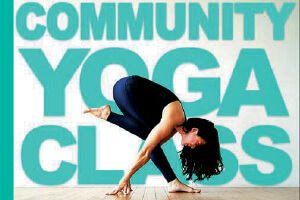 All participants should wear comfortable exercise clothing and bring their own yoga mats. No sign-up process or fees are required to participate in this event. Visit Timbre @ The Row tomorrow and find yourself bursting with laughter, all thanks to two of Malaysia’s funniest comics, Farid Azmeir and Harresh AU. Harresh AU was the winner of the 2016 Short & Sweet Malaysia Comedy Competition and was named The Audience Choice at the same event. He is known for his unique style on stage and his dark, observational and intelligent comedy. Farid Azmeir is a high-energy and hilarious comic, who has opened for a host of local and international comedians, including Rizal Van Geyzel, Douglas Lim, Gina Yashere and more. The comedic performance takes place at Timbre @ The Row tomorrow, from 8pm to 9pm. Purchase your tickets online now at https://anrattimbre.peatix.com. 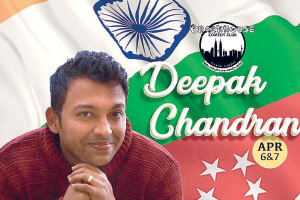 Crackhouse Comedy Club KL presents Deepak Chandran, a rising figure in the world of stand-up comedy. Deepak Chandran is a regular headliner across Southeast Asia, as well as being an established host at Comedy Masala Singapore. His observational comedy touches on issues like politics, middle class life, and his IT engineering profession. He will be joined by comedian Aaron Aw, who headlined for The Laughing Gas’ first Special Edition show. The comedians will take centre stage today and tomorrow, from 9pm to 11pm, at The Crackhouse Comedy Club KL. Tickets are priced at RM40 online and RM50 at the door, so purchase them online now at https://deepakdoescrack.peatix.com. 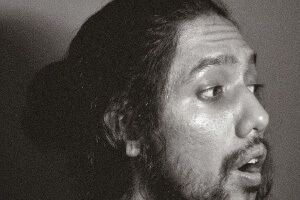 Malaysian singer-songwriter Hameer Zawawi will be performing at The Bee tonight, as part of his “Plug Out The Machines” tour. After finishing the tour for his debut album “National Fantasy”, Hameer Zawawi was approached by New York City-based Recording Artists Development (RAD) to record his next EP. The 3-song EP “Plug Out The Machines” was finished in four months, involving artists and engineers from cities all over the world such as Kuala Lumpur, France, Los Angeles, and NYC. After going on tour in various cities like Manhattan, Long Island, Brooklyn, Harlem and Boston, he and his bandmates will return to his home country, Malaysia, for a tour. Join him as he kicks off the two-week tour at The Bee Publika tonight, from 8.30pm. Entry is priced at RM20 per person. The willful and spirited diva Ushera will be showcasing songs from her album project ‘Semalam Di Malaya’ in a performance at No Black Tie. 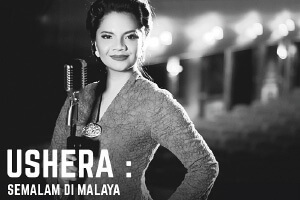 Through her music, Ushera evokes nostalgic memories among members of Malaysia’s older generation, by paying homage to the contemporary music scene of pre-independent Malaysia. Moreover, her show will be backed up by a six-piece ensemble with beautiful arrangements by her producer Ganesh Bala. If you’re a lover of Irama Melayu mixed with Latin beats and jazz music, then catch her performance tonight, from 10pm, at No Black Tie, Jalan Mesui, KL. Tickets are priced at RM70 and are available at www.noblacktie.com.my. 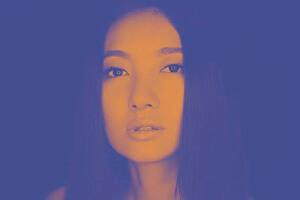 Actor-singer-songwriter Chelsia Ng will be performing at BoboKL tomorrow, with Ui Li on keys, Wafi on bass and Wei-Meng on guitar. She will be performing songs by The Carpenters, Elvis, Eva Cassidy, Jewel and Alanis Morrisette, as well as some of her new originals. The performance takes place today and tomorrow, from 9.30pm, at BoboKL, Jalan Bangkung, Bangsar. 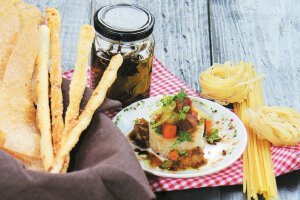 Admission is RM60++, and RM45++ for BoboKL diners. Call (03) 20925002 for reservations. 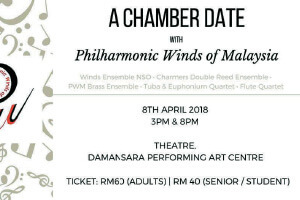 Philharmonic Winds of Malaysia (PWM) presents “A Chamber Date With Philharmonic Winds of Malaysia”, a performance showcasing wind and brass chamber music. PWM is a non-profit organisation founded by a group of musicians in 2014. The group, led by conductor and artistic director Eric Lee aims to promote wind band music while enhancing the art of wind playing amongst the community by creating a platform for wind players to perform and hone their skills. The musical ensemble will play music of the Baroque, Romantic and 20th Century periods. They will also be performing Malaysian music, animation music and more. Don’t miss their performance this Sunday, at DPAC, Empire Damansara, PJ, at 3pm and 8pm. Tickets are available for purchase at www.dpac.com.my.